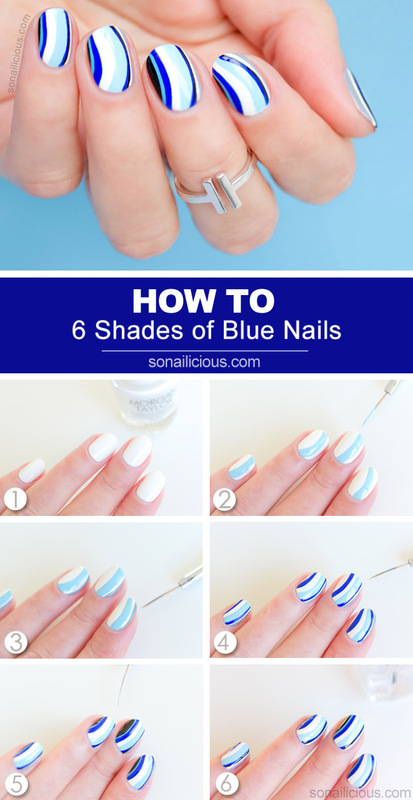 If you love blue nail polish as much as I do, you’re going to enjoy this 6 Shades of Blue nail art tutorial! 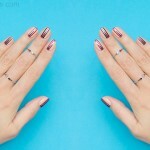 Not only can you incorporate all your favorite nail polishes in one look, it’s also fast and easy to do. Don’t worry if it looks complicated, the beauty of it is it looks advanced with minimum effort! 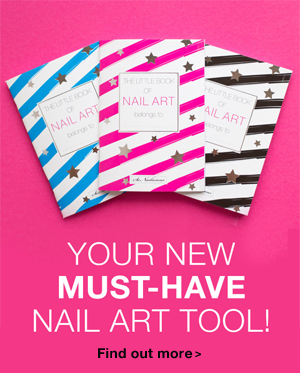 All you need is a nail art brush, 7 matching nail colours (from one colour family – blue in my case!) and 30 minutes. 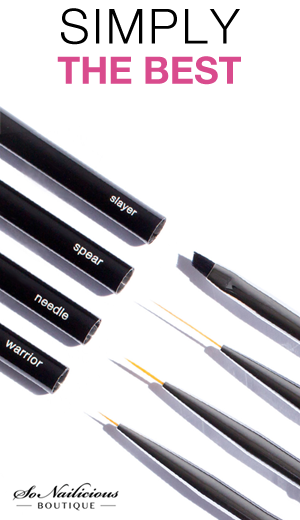 The reason it’s so fast is you don’t need to wait for the layers to dry. Plus, waves are so much easier to paint than straight geometric shapes. Just go with the flow. If the colours look good together, success is guaranteed. 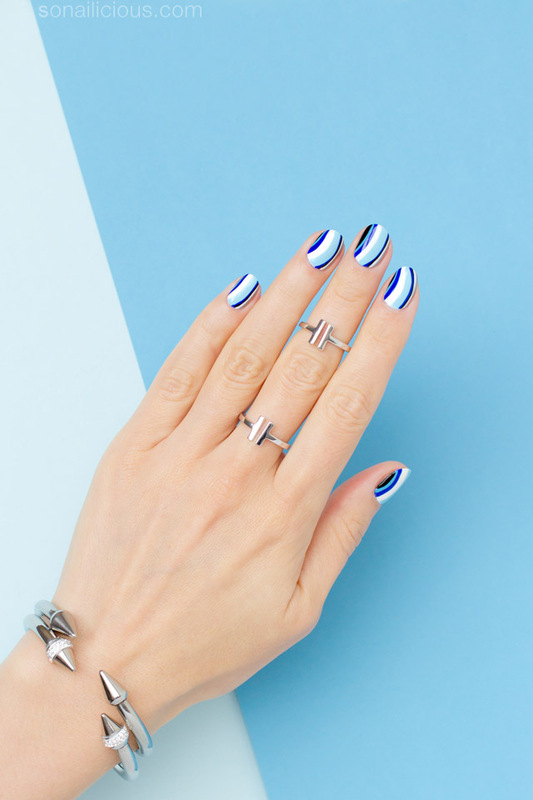 This will look great on short nails too because the vertical lines will optically elongate your nails. Ok, hope I’ve convinced you by now, let’s get started! Paint all nails with 2 coats of opaque white polish. Now, work one colour at a time. Use a striping nail art brush to paint thick light blue waves on all nails as pictured. With light grey nail polish, using the same nail art brush paint the side of all nails as pictured. 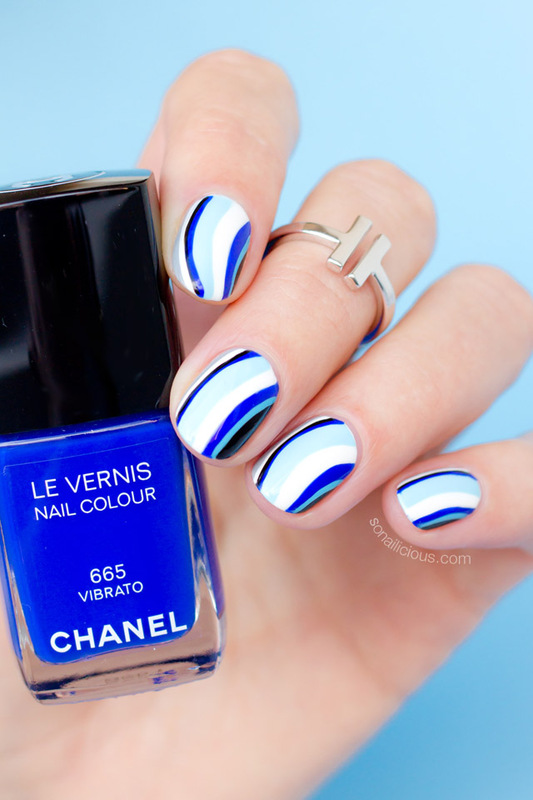 Paint bright blue waves on all nails like pictured. 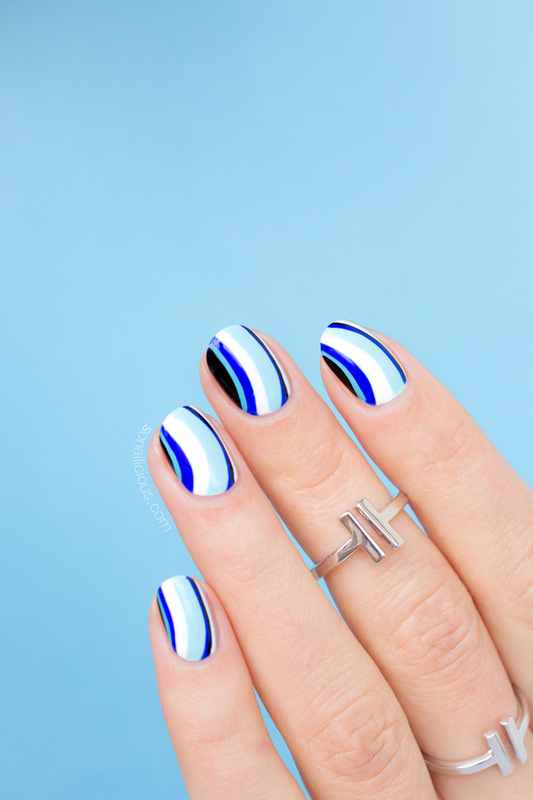 Paint the other side of all nails with black nail polish and add thin light blue lines between the bright blue and black as pictured. 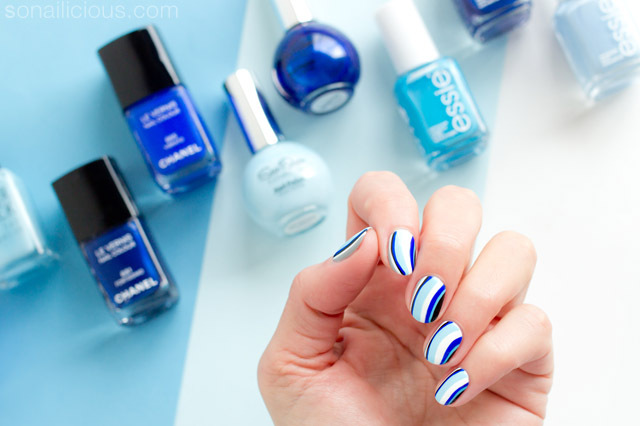 So what do you think about this 6 Shades of Blue nail art? Will you give it a try? P.S. As always, if you try this nail design, I’d love to see you work – Tweet or Instagram me a photo with the tag #sonailicious.